WordPress hosts thousands of new websites and blogs everyday, since it is the one of the most well-known websites and blogging platforms in the world. Finding a proper theme is one of the best ways to start creating your website, especially if you do not have much development or design experience. 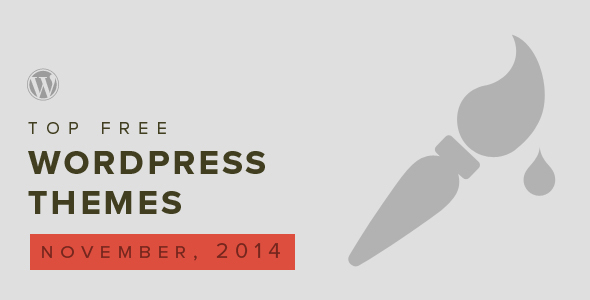 Every month we present you our list of the best and completely free WordPress themes. And November is not an exception! 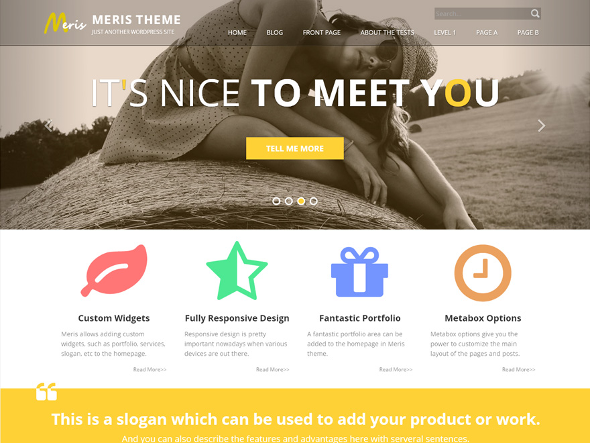 Meris is a multipurpose theme that can be used for travel, service, as well as for business and news website. Moreover, it allows to add widgets owing to the flexibility of the homepage layout. 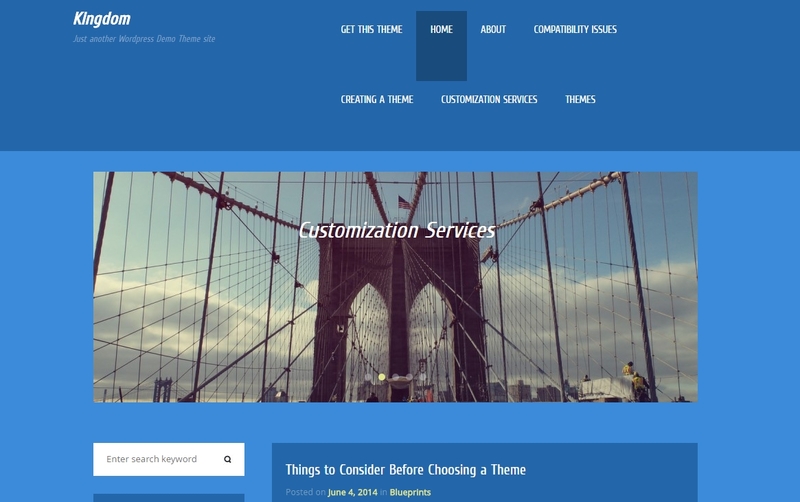 The theme has slogan, portfolios, social icons along with full-width sliders on the homepage, and small featured sliders in the sidebar (optional). You can move the sidebar or just turn it off. You can add icons anyplace,since this theme comes with built-in Font Awesome Icons. Meris is fully responsive on different devices and browsers because it was created in accordance with the latest CSS3 and HTML5 website standard (from the Twitter Bootstrap). Naya Lite can serve as a perfect parent theme. It is a minimal blogging theme and a responsive framework that will remind you of the early days of blogging. Its design justifies the idea of a good, old fashioned blog. Naya Lite is best suited for website owners, developers and bloggers if they want to create their own child themes without any difficulties. Naya Lite is a retina-ready and responsive theme, and it is looking forward on being more modern and state-of-the-art. 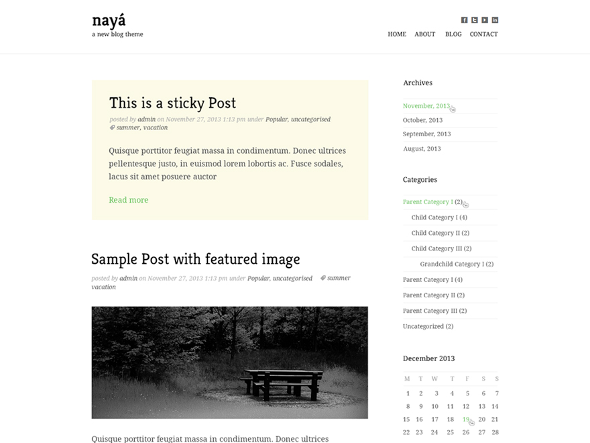 Naya Lite perfectly combines the past and the future of blog design. The theme still maintains the look and the feeling of a classic blog. Pilot Fish has a minimalistic design, which is ideal for portfolios. Also, responsive and flexible layout ensures its mobile-friendliness. It comes with a custom post type to highlight work and projects, and the scrolling feature on the front page to show a featured image. In addition, Pilot Fish supports post formats, menus and is completely translation ready. The latest versions include listings for project, custom tags and custom category that allows having several pages classified yetby different project skills and types. Flat design and clean typography elements will be useful for anyone who is looking for a new portfolio theme. 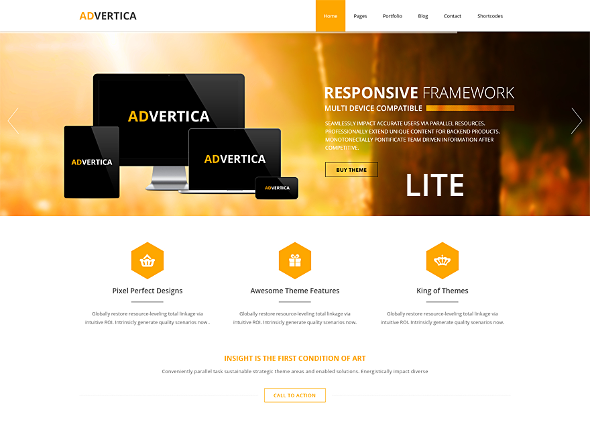 Advertica is a beautiful and SEO optimized WordPress Theme. It is a clean, responsive, elegant, easy to use tool with customizable Admin Panel. It comes with featured boxes, which allow you to highlight your key service sectors, parallax section to give your side a creative edge, responsive bootstrap framework, which provides perfect work on mobile devices. Moreover, it has a beautifully carved footer, which makes it optimized for various widgets. Also, Advertica is a translation ready theme that supports threaded comments and provides fixed layout, fluid layout, full-width template, persistent header, custom menu, easy to use theme options panel, сlient logo section, sticky posts, right & left sidebars. Advertica is definitely one of the most beautiful business themes. Need a highly flexible and balanced theme for your personal blog? Kingdom would be just suitable. It is a great theme that was designed for business people! 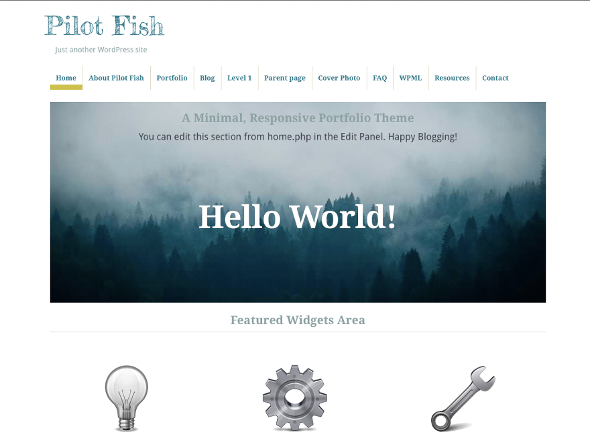 Extremely easy to use, dainty and neat, this theme will make your site attractive for visitors. With Kingdom, you will have a great, functional and simplistic wrap for your ideas. Be sure that the purpose of your site will not be overshadowed by the abundance of other little details. Kingdom will be best suited for Daily news, Construction, Fashion magazines, Cultural overviews, Distribution services, Sports reviews, Travel agencies, Storage services, Workshops, Network companies, Travel reviews, Travel advice, etc. However, there is no limit to the fields this great theme can be applied. Once again, we find ourselves at the the end of another month round-up. Those were our November favorites. You can expect them all to be compatible with the latest version of WordPress, well developed and well designed. We hope you have considered our look at the best WordPress blog themes of November being helpful since we’ve selected them mindfully for you to use on your websites. Each theme offers something special and unique, is open to the public and absolutely free to use.